In 2013 local entrepreneur Luke Colvin was seeking a way to have a bigger impact in the community beyond his successful service based arbor business and Buoy Beer Company was born. 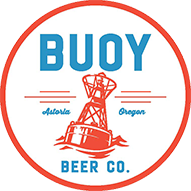 The idea for Buoy Beer to have a positive impact on our community gave shape to the Pints for a Purpose program and fuels our drive to support our community through varying donations. Thank you for thinking of us as you plan your event. Please read these guidelines before filling out our form. We require 21 days advance notice for all donations. We donate only to registered 501(c) organizations, and you will be required to submit a copy of your registration document. If your state requires it, you must have a temporary permit (i.e. liquor license) in the name of your non-profit to serve any alcohol for fundraising purposes at your event. The pool of athletic talent out there—both individuals and teams—is huge. For that reason we won’t wade through it to sponsor some and not others. We tread lightly around political, faith-based, and other sensitive issues. Our priority is to Astoria and the Clatsop County area however we welcome requests from outside the area. Sound like we’re still aligned? Then onward! Please email [email protected] with requests.